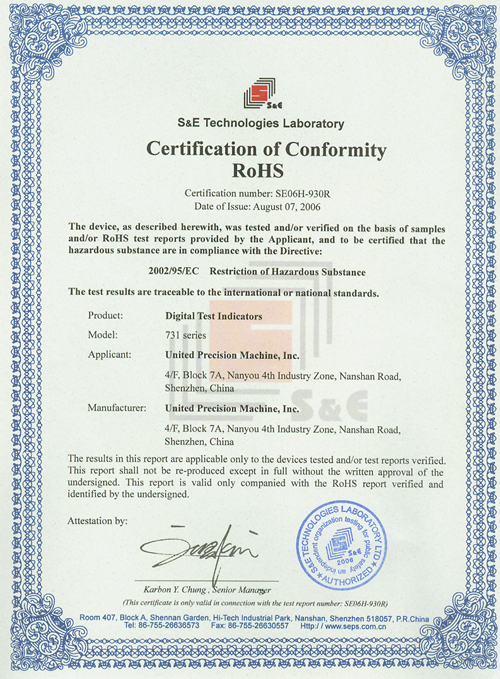 Founded in Jan. 1999, United Precision Machine, Inc. is an individually-run enterprise, specializing in manufacturing and selling the most advanced digital precision measurement instruments, with main products including digital calipers, water-resistant digital caliper, digital indicators, digital test indicators, digital micrometers, digital height gages and other non-conventional type digital measurement instruments. After a few years of effort,We have currently reached our eminent as an enterprise in industrial measurement instrument sector at home. 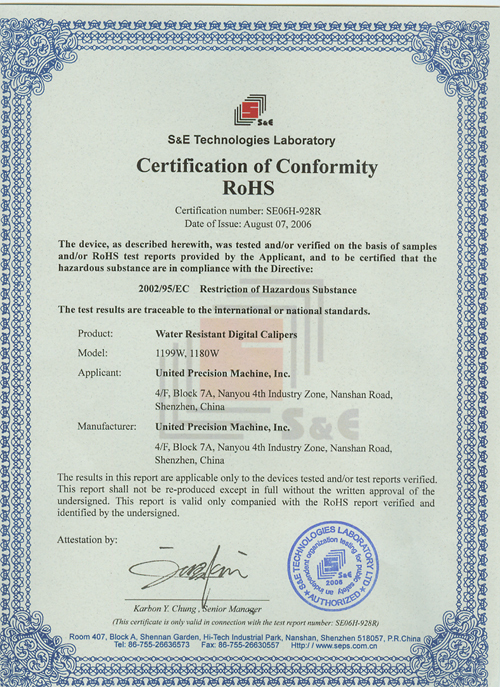 In recent years ,we have rapid development of business.In March,2001 ,we were granted Certification of P.R.C. Import and Export Enterprise. In July, 2001, we registered our trademark--- UPM. 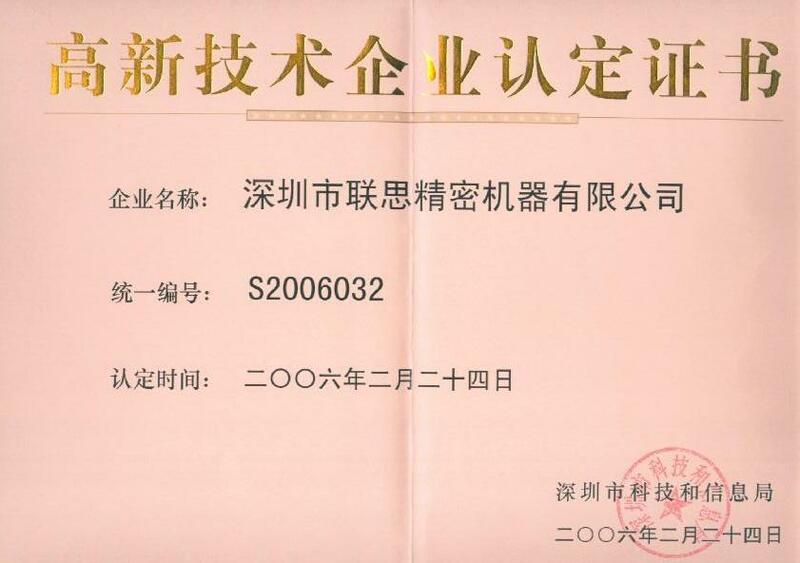 In 2006, we were awarded High and New Technology Enterprise by Shenzhen Science & Technology and Information Bureau. Our products command a good market at home, and export to 20-plus countries and territories, including USA, Canada, Germany, Japan and Southeast Asia. The sales of exporting products account for 70% of its turnover. 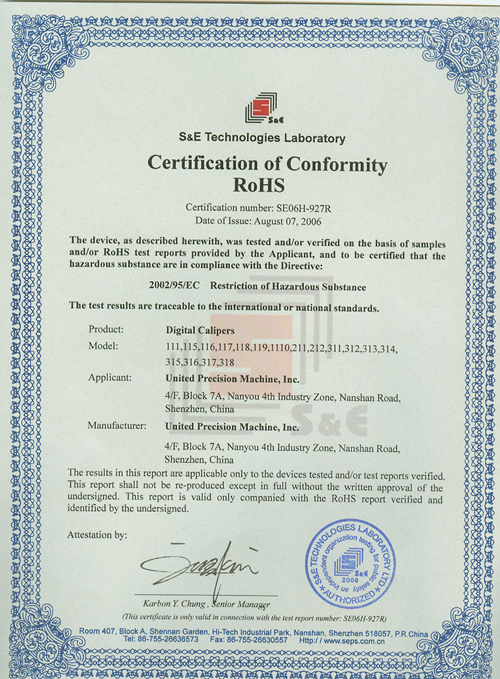 Based on the idea of “Quality for establishment, innovation for development,” persisting in pumping considerable human and material resources into the melioration of products' quality and the development of new products, Ten Patents have been accepted, one of which has been accepted by International Patent Application under the conception and direction of our Chairman of the Board. The improvement in exterior appearance and specific function proved to be successful. Exquisite appearance and fabulous quality make considerable customers stay on beam for our products. Our aim is to build up our company to be a prominent manufacturer in digital measurement instrument sector both at home and abroad, and to establish UPM to be an internationally-known brand.